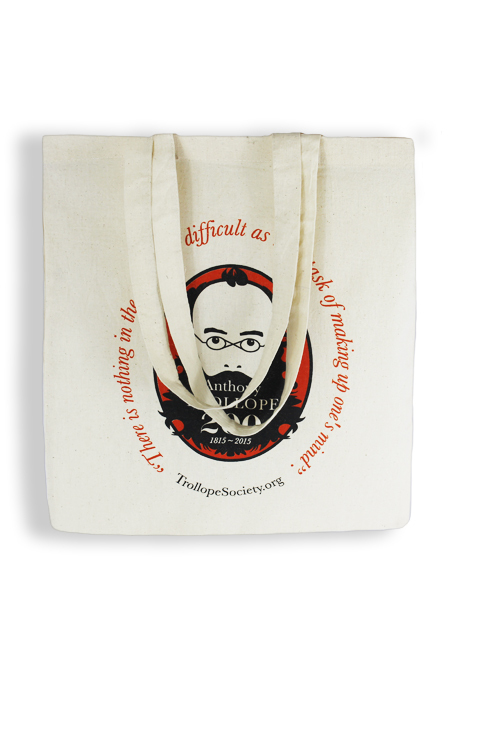 Get noticed with this distinctive Anthony Trollope 200 tote shopper bag. Made from 100% natural cotton and featuring the Anthony Trollope 200 logo as part of an illustration of Trollope’s face. There is nothing in the world so difficult as that task of making up one’s mind. The quote circling around the logo is from Phineas Finn, and is true of many of life’s choices – except the decision to buy this bag.